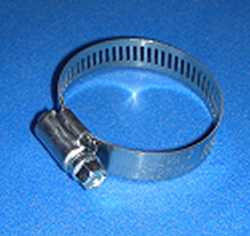 Stainless Steel Hose Clamps CLICK ON MORE INFO/DETAILS TO BUY!! We also have Plastic Thumb Clamps for the situations exposed to saltwater but does not need the holding power of a screw clamp. We also have Emergency Use Hose Clamp Cable Ties that everyone should have in their car, toolbox, workshop, boat, etc. We also have Zinc Plated Spiral Hose Clamps for the no-kink, EPDM, Hybrid, and other corrugated hoses.